Geographically the heart of Goa, you’ll find a lot of Goa’s soul in Ponda too. The area is renowned for its spice plantations, green and scenic villages, and grand Hindu temples. 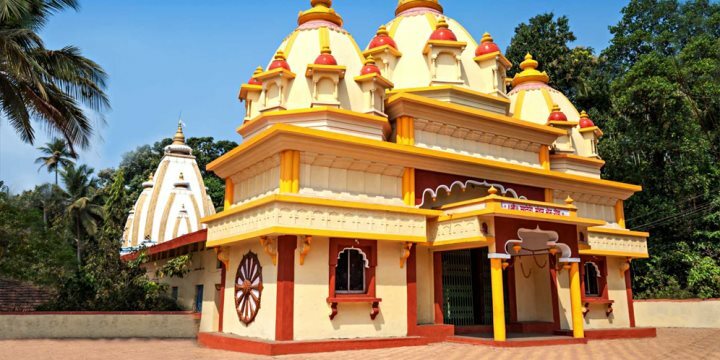 For many, Ponda is the cultural city of Goa, recognised as the heartland for numerous Hindu celebrations and festivities; ensuring its character is very different to the coastal areas of the state. Exploring the many temples, intriguing spice plantations and charming villages is a must for anybody on holiday in Goa, especially for those hoping to experience the state’s rural and spiritual identity. The artistic temples of Ponda should deservedly sit near the top of your itinerary, with each individual settlement in Ponda home to a grand and spectacularly-decorated temple. The Shri Manguesh Temple, dedicated to Goa’s local God Manguesh, is one of the most popular to visit in the state due to its unique mixture of architecture, with influences from both Christian and Muslim styles, while the Shri Shantadurga Temple, set in a thick forest just north of Ponda, is the largest and one of the most lavish of Ponda’s temples, with the interior dripping in marble and glass chandeliers. Spice plantations and farms are another common sight around Ponda, and visiting one can be a fun and educational experience. The likes of peppercorns, cardamom, cloves, cumin, saffron, cinnamon sticks, nutmeg and vanilla pods are grown here – all key features of the sublime Goan cuisine.